Fresno Forklift Training Can Get You Ahead! Situated at the midway point between San Francisco and Los Angeles, Fresno is an extremely busy hub for many industries where forklift certification in Fresno, CA can offer tremendous job opportunities. Fresno, whose name is the Spanish word for “ash tree”, offers beautiful weather and verdant land attracted many farmers and ranchers beginning in the 1870’s when it was selected as a stop on the Central Pacific Railroad. Now, the area’s booming $5.6 billion agricultural business, one of the largest in the country, makes it an ideal destination for those with forklift training. Our forklift certification program for Fresno covers all the safety requirements you need to operate a forklift. Employers in Fresno won’t hire a lift operator without OSHA compliant training – and no other option covers OSHA like CertifyMe! If your company needs an in-house training resource, CertifyMe’s Train a Trainer course is just what you need. Whether you’re hiring for forklift jobs in Fresno, CA, or offering forklift training in Fresno, this course establishes a reliable, always-ready training expert at your own company! Fresno, CA is also home to a diverse range of industries, including agricultural chemicals and equipment, food processing, computer software, glass and plastics, all of which offer huge career opportunities for those with forklift certification. Fresno CA is also a melting pot of over 100 different nationalities that are reflected in the area’s diverse and welcoming community. In Fresno, forklift certification can open the doors to many job seekers in a wide range of fields. Fresno County produces more than 350 commercial crops, including grapes, cotton and citrus, all of which need to be transported, stored, and shipped out to feed the rest of the country by individuals with OSHA certified forklift training. 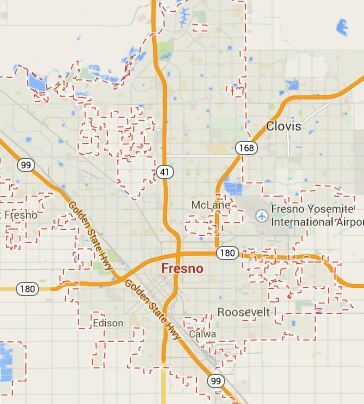 Fresno, CA is also home to some of the largest poultry, cattle and milk operations, which offer many job opportunities. In addition to the many jobs available in the agricultural industry in Fresno, forklift certification also offers many employment options in the manufacturing fields of computer software, glass and plastics, as well as construction and mining. The area also offers very affordable living options and a high quality of life for those with forklift training in Fresno CA. Many employers in Fresno offer forklift certification and there are also many opportunities for individuals looking to move their career forward and improve their job prospects to get certified themselves. If you have forklift training, Fresno CA has a wide range of employers in the agricultural sector, particularly in distribution, that are looking specifically for your skill set. One of the largest employers for wholesale produce distribution in the region is Valhalla Sales and Marketing, which ships fruits and vegetables across the country and all over the world. One of the biggest names in agriculture is Cargill Meat Solutions, which offers those with forklift certification in Fresno CA, many job opportunities, not only with their refrigerated warehousing and storage facilities for meat processing, but also storage and shipment of furs. National poultry companies such as Foster Farms and Zacky Farms, also offer people with forklift training in Fresno CA, plenty of career opportunities. Of the many other industries in Fresno that offer job opportunities for individuals with forklift certification, there are major corporations such as the glass and textile manufacturer PPG Industries, as well as many agricultural chemical and processing companies. If you’re looking for a promising new career, job opportunities and considering the move to Fresno, a forklift training program is an ideal way to put yourself ahead of the competition and work towards a promising career and future. Get Your Career on the Fast Track Today – Call CertifyMe for Fresno Forklift Training! Forklift certification in Fresno is important for employees and employers. And no other online training platform offers the complete training of CertifyMe. Give us a call today at 888-699-4800, or visit our contact page to learn more about forklift certification in Fresno. Whether you need forklift training in Fresno, or need to find forklift jobs in Fresno and other Southern California cities, CertifyMe can help today. We look forward to meeting and exceeding your OSHA forklift training needs. Thanks for visiting CertifyMe, your Fresno forklift certification training headquarters.